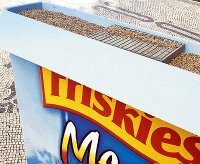 To often we forget the power of the simple product demo. 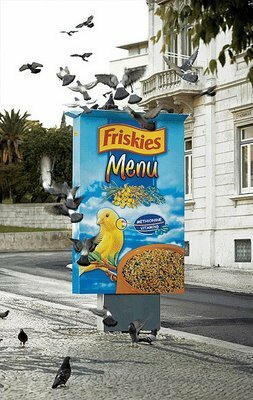 This bird-interactive outdoor ad for Friskies bird seed makes a wonderful connection to the product, the audience and the product benefit. You can't get more straight and to the point - yet, at the same time, be inventive, attention getting and very cool. Great work from Leo Burnett, Portugal.